Ever go to each airline's site for prices? No - you use a site that searches them all. 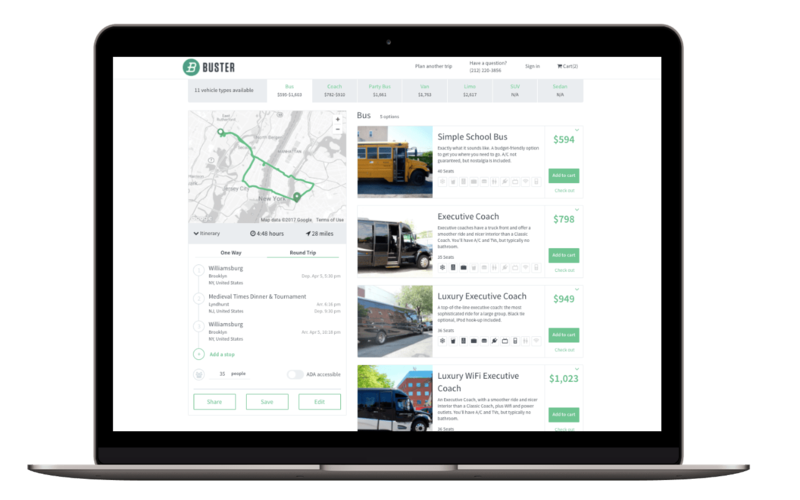 Finally, booking a bus, limo, or van is just as easy - with Buster. We bring charter companies and their prices into one place, with easy browsing and instant prices. And we discount every trip up to 40%.